The new print edition is heavily informed by the Globe and Mail’s online analytic data. The future of newspapers might look a little like the Globe and Mail’s redesign: Compact, more opinion pieces and driven by analytic data. So, here’s what the Globe and Mail distributed to some parts of Canada looks like: On weekdays, it’s now two twenty page sections, the width has shrunk an inch, and there is more white space on the page. 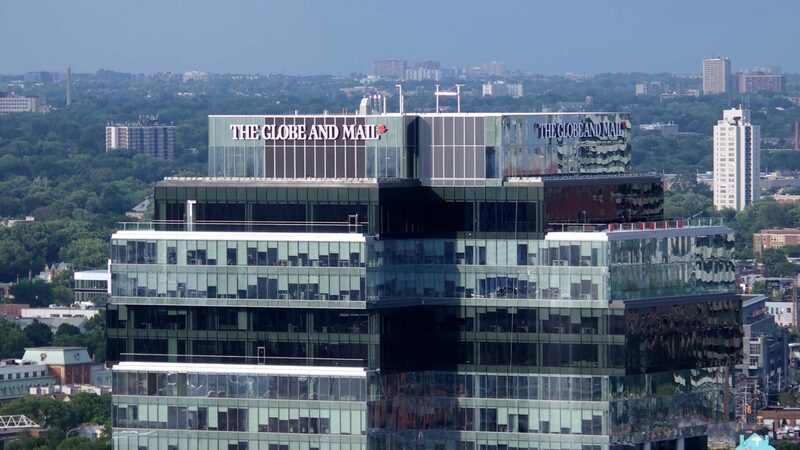 “What we are trying to do is focus our best content into the sections that are most read,” Phillip Crawley, publisher and CEO of the Globe and Mail, told J-Source. The redesigned Globe and Mail front page. The overhauled A section includes news, arts and life, while the B section includes Report on Business, Globe Investor and sports. On Fridays, the paper includes a real estate section, and an automotive section in Toronto area papers. The weekend edition is the biggest at six sections, including a new opinion section and “Pursuits” which combines books, travel, fashion and food coverage. 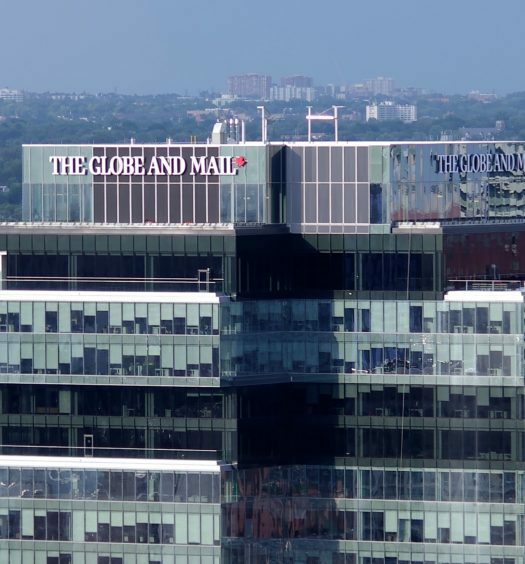 The decision to drop the width of the paper to 10 inches was spurred by the positive reaction to the last Globe and Mail redesign in 2010. Crawley also says that the cost savings of using less paper are not insignificant. The Globe will save about $1 million a year as a result, trimming down the current newsprint budget of $8.2 million. That data was used to determine how to redesign the print product. Crawley believes they’ve developed enough intelligence about reader habits since Sophi has been in place to apply it to the newspaper itself. “From Sophi data, consistently the most popular thing we do is opinion,” he said. And so, opinion pieces are now in the A section on weekdays and opinion has its own 12 page section in the weekend edition. He believes staff writers have the advantage. “If you’ve got a column like (Margaret) Wente’s column which appears three times a week as a regular occurrence, or (Elizabeth) Renzetti who has a spot every Saturday, people have a clear expectation as to when they are going to read those columnists.” Though one wonders how much of the analytics generated by Wente, a frequent arbiter of unpopular opinions and oft-accused plagiarist, are simply outrage shares. However, the Globe has seen a good return on investment because of their reporting. A 10,000 word profile of Justin Trudeau published in 2015 resulted in over 100 people signing up for digital subscriptions. 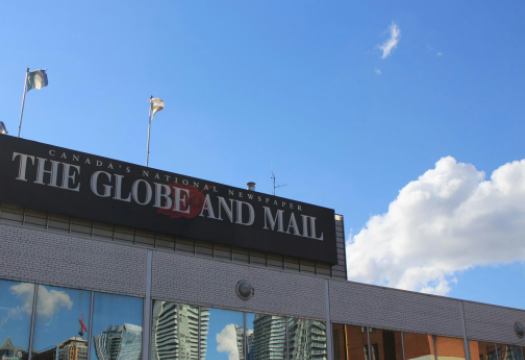 According to a Vividata survey released earlier this year, the Globe has the highest average issue audience of national newspapers — 2.6 million in digital and print on weekdays. Crawley says the Globe is currently profitable. And people are still reading the print edition. “We still have a lot of customers who … want print. It’s their preference to read both print and digital — a majority of our readers do that,” said Crawley. On the weekend, they know that readers want to sit down with a print newspaper while they have their coffee. That’s why it matters that they did a redesign.